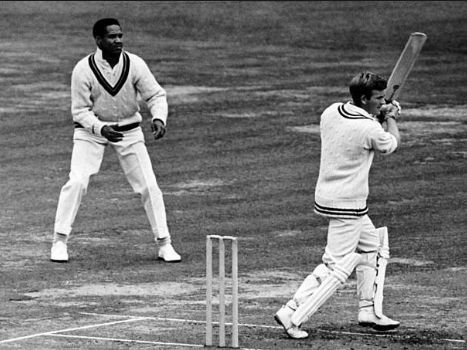 Over 1,700 ODI centuries have been scored since the first ever One Day International match was played between Australia and England at the MCG on January 5, 1971. It was a 40 over match but each over consisted of 8 balls. In fact, initially, all ODIs were played with a red ball and in a white uniform. The first World Cup - which was held in 1975 - had 60 six-ball overs matches. The format has changed since the years and now has 50 six-ball overs . ODIs have slowly become the most loved form of the game, as they are highly competitive, not as long as the Tests, but also not too short like the T20s. 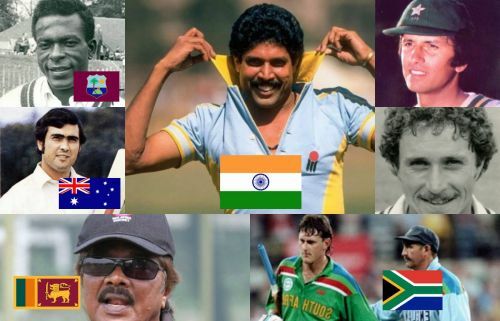 In this article, we will take a look at who were the first centurions from each country. Note: We are including only the 12 Test-playing nations which also possess the full ODI status presently. Dennis Leslie Amiss was the first centurion for The Three Lions. The Birmingham-born player had an excellent playing record and He amassed 3,612 runs in the 50 Test matches he played at an average of 46.30. The right-hand batsman also hit 11 centuries and 11 half centuries in his Test career. The classy batsman is known to have scored the first ever ODI century in the history of cricket, scoring the century in a match against Australia in Manchester on August 24, 1972. It was only the 2nd ODI ever to be played. The Aussies had posted a total of 222 runs after they chose to bat first. Amiss' sublime 103 off 134 aided by a brilliant 60 off 76 by Keith Fletcher helped England to a successful run chase. The Three Lions eventually won the match by 6 wickets with 35 balls to spare. Interestingly, it was also Amiss' debut match and he holds another unique record of being the first batsman to score a century on both his first and last match. Overall, the former English cricketer amassed 859 runs in 18 ODIs he played at an averae of 47.72 and a strike rate of 72.49.